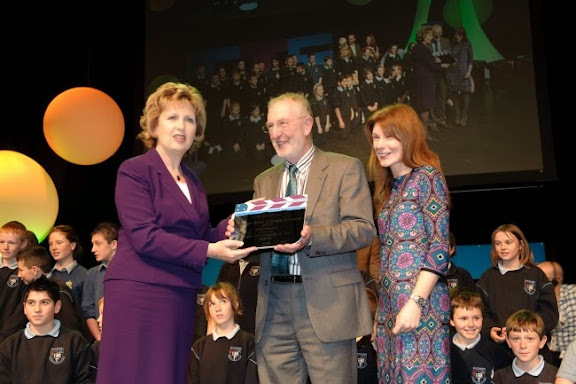 Best Overall Production, Aileen McKeogh Award 2010 went once again to St. Aiden's N.S., Monasteraden. 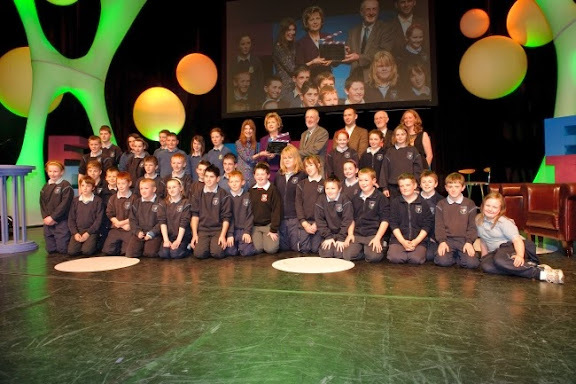 Children from 4th, 5th, 6th and last years 6th class attended the awards in the Helix, Dublin on Wednesday 3rd November. 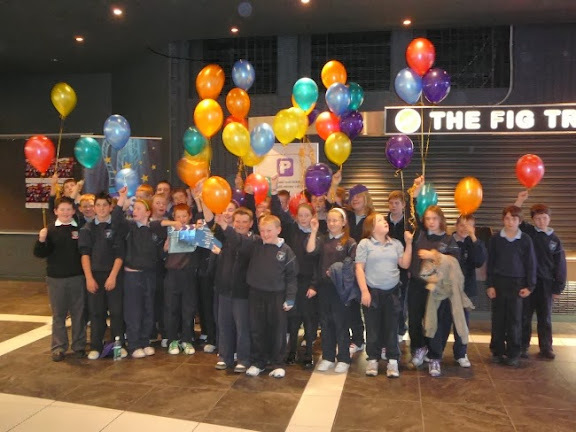 Their film 'Awful Arabella' received two awards - 'Award in Film Making for Direction' and the prized award on the day 'Best overall Production, Aileen McKeogh Award'. 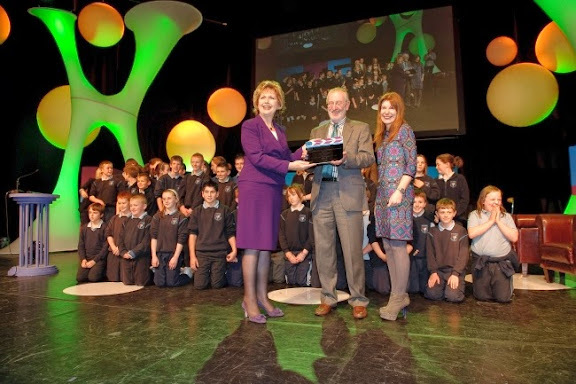 This is the second time the school have won this award. 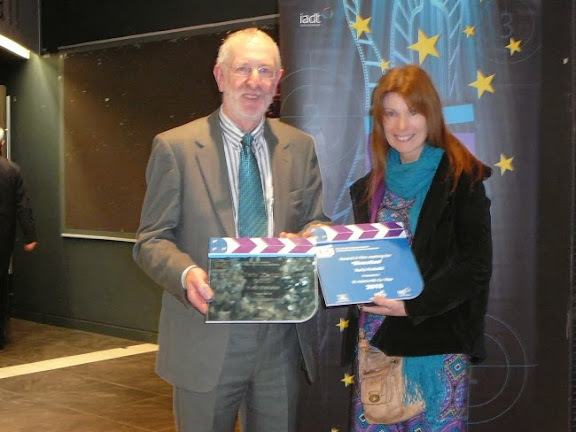 They won it previously with 'Calyspo' also an animation film.LisaHogan and Shane O'Grady accepted the 'Award in film Making for Direction. 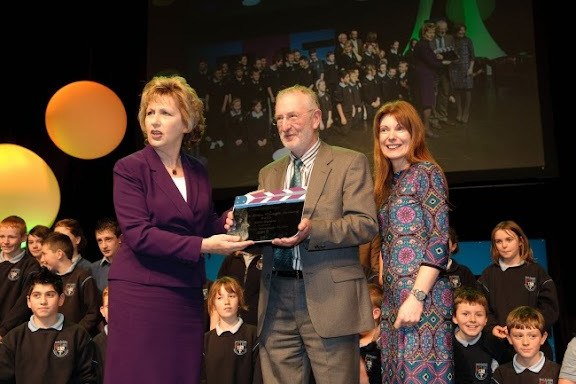 The overall award was presented by President Mary McAleese to David O'Gara, Principal and Anne Moriarty, Deputy Principal. 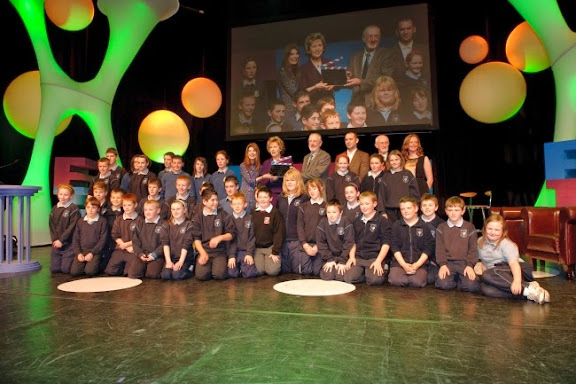 The children were overjoyed with both awards and there was a welcoming reception when they arrived back in Monasteraden after their long journey. Thank you to the parents who helped to organise this home-coming. 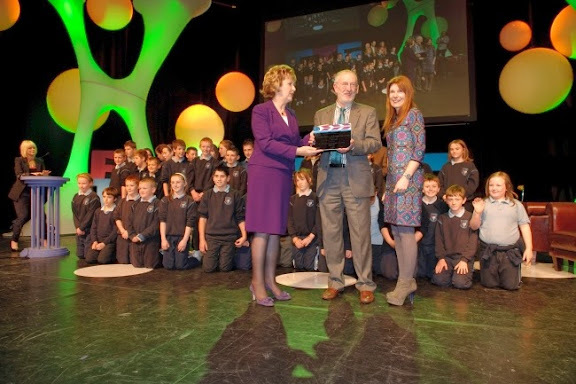 On Thursday morning November 4th Lisa Hogan and Shane O'Grady were interviewed on The John Murray Show on RTE 1. They did the school proud. Awful Arabella can be viewed on www.rte.ie/thejohnmurrayshow.